The pre-order list for the next batch is full and I plan to run it during the fall of 2019. I will write directly to everyone on the list when it starts. The pre-order list for the batch I plan to run after the above is also full. I don’t know when that batch will run but most likely early next year. I will write directly to everyone on the list when it starts. All pre-order lists have therefore been closed. Sorry if you missed out. Custom keyboard stabilizers for the Space bar (9u size) and Return key (2u size). 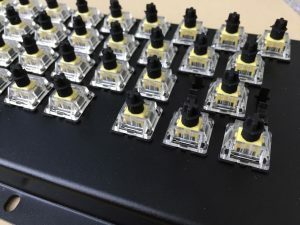 The MechBoard64 comes with microswitches from Gateron. Three options are available: Gateron yellows (55 g linear), Gateron blues (55 g clicky) or Gateron Browns (45 g tactile). The Gateron yellows resemble the original C64 keys the best. Some people may want to use their own microswitches. The MechBoard64 can therefore be ordered ‘switchless’ without microswitches. 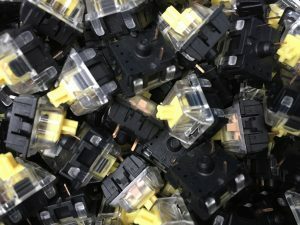 Please note that only Cherry mx style microswitches (e.g. Gateron and Cherry mx) have been tested with the MechBoard64. 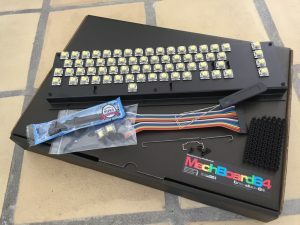 The MechBoard64 comes with 3D printed key adapters that fits the stems of the Gateron switches and the original C64 keycaps. 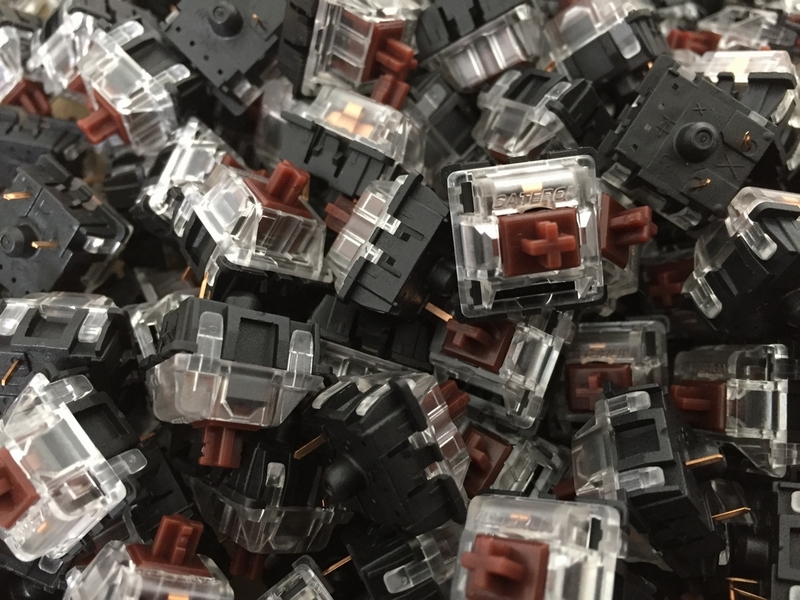 The keycap adapters are made from Shapeways in a material called Strong and Flexible which is also known as Nylon Plastic, PA12 or Polyamide. 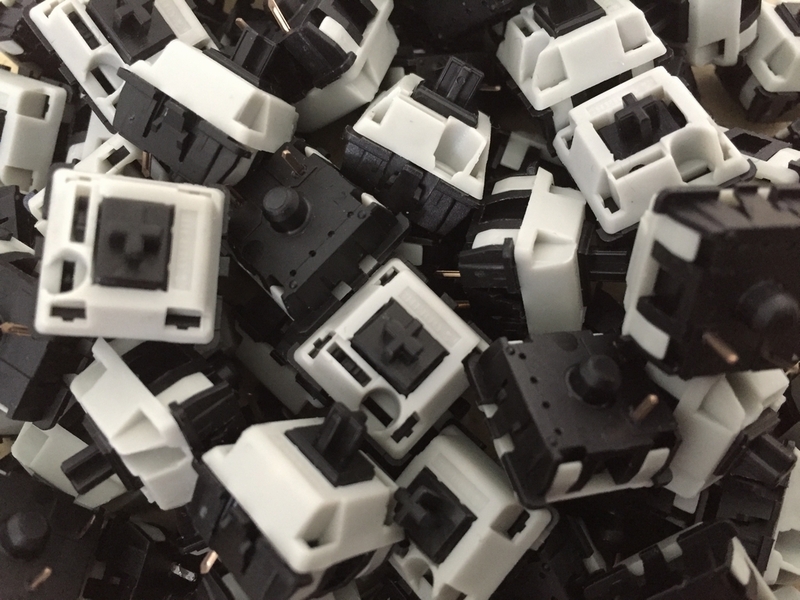 Please note that the 3D printed key adapters only work with Cherry mx style switches (e.g. 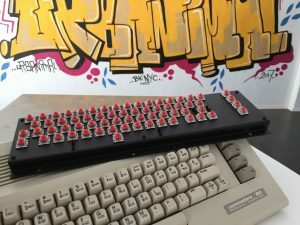 Gateron) and the standard Commodore 64 keycaps. 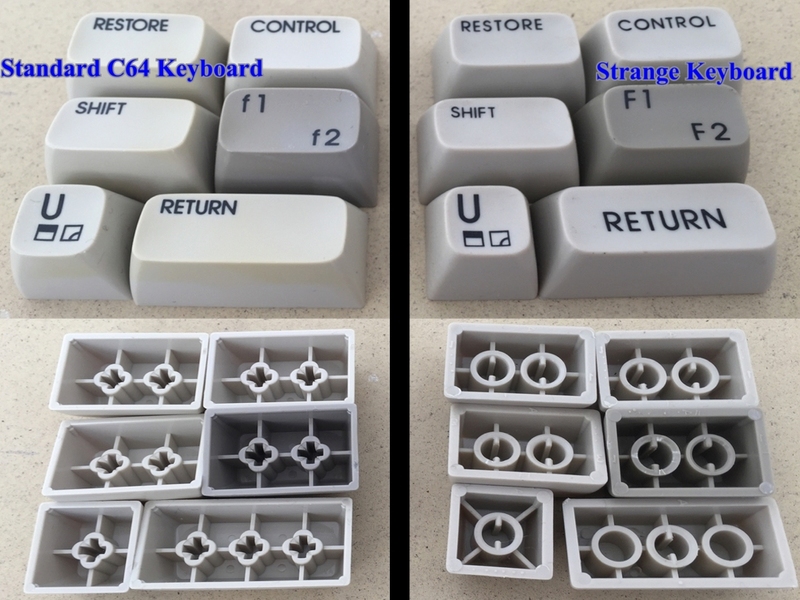 Other C64 keycaps, like the strange ones shown below, will not work and hence cannot be used with the 3D printed key adapters! 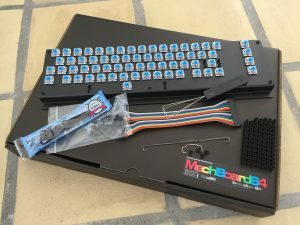 If you plan to install the MechBoard64 in a Commodore 64 with a long board (e.g. 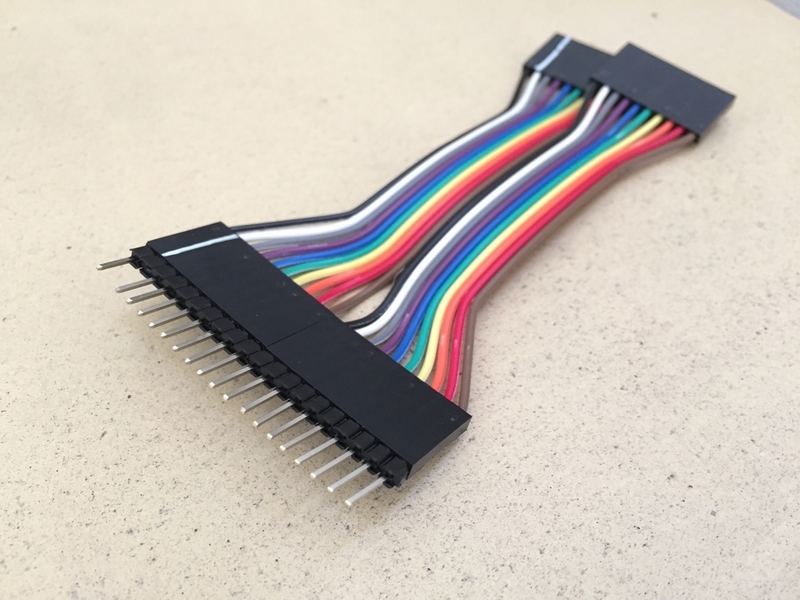 Assy 250425 or 250466) in a C64C slim case, you will need to order a 10 cm extender cable for it to fit! Otherwise the keyboard cannot be connected to the motherboard! Instructions on how to show your interest in getting one or more keyboards can be found on top of this page. To balance the risk and cost, a batch will not run until enough people have shown their general interest in getting a keyboard. When a batch is starting, I will send out emails with ordering info. I will need a reply within 5 working days. After that time, I have to cancel the reservation to serve the next in line. When I have your reply, I will send a confirmation email with payment instructions, list of parts, all the legal stuff, shipment information etc. Orders must then be paid within five working days after the confirmation email. After that time, any unpaid orders will be deleted. Orders are queued in a first order first served order. When all keyboards for a batch have been paid, the production of the keyboards will commence. A batch usually takes 10-12 weeks to produce from the last payment has been received to all the keyboards have been shipped. The time frame is conservative but may be extended if parts take longer to get get than anticipated. Any delay will be annouced on top of the current batch page. Included in the production time is the assembly of the keyboards which is all done by hand in my basement. When a keyboard is done, it will be shipped out in the order they were ordered. Thus, a batch may be shipped during a time period of several weeks and not all at once. The keyboards are all shipped from Denmark using the Danish postal services, PostNord. All keyboard shipments will have a tracking number. People living outside of the European Union may be charged with custom fees and import taxes which are not included in the above price. So please keep this in mind before ordering. According to PostNord, the delivery time is usually: 2-5 working days to EU countries, 4-6 working days to North America, 7-10 working days to South America, 4-7 working days to Asia including Japan and South Korea, 2-8 working days to Africa and 3-15 working days to Russia. Some local variations in delivery times may be expected. A printed intallation manual is included with the MechBoard64. However, the latest in-depth digital version can be found here (link). Breadbox64.com abide by the European Union laws for online shopping. Thus, when buying goods from breadbox64.com, you have the same consumer rights as anywhere else in the European Union. The Terms and Conditions can be found here (link). 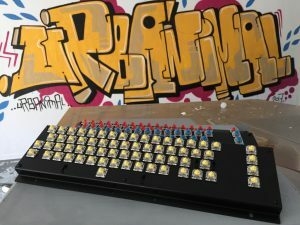 The MechBoard64 and a Keyrah? 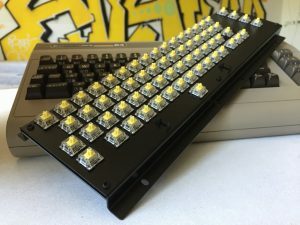 Some people may want to use the keyboard with a Keyrah from Individual Computers (link) in order to connect the MechBoard64 to a modern day computer or a RaspberryPi. In those cases it should be noted that the Keyrah does not provide +5V to the pin powering the Shift Lock circuit. Therefore, neither the Shift Lock key nor the LED will function with the Keyrah. To overcome this, a locking switch can be installed instead of the non-latching standard switch. How to do this mod can be found in the installation manual found here (link). Please note that any modding will void your warranty of the keyboard! 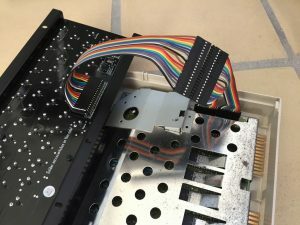 The producer of the Keyrah, Jens Schönfeld of Individual Computers, has explained why there is no +5V line connected to the Keyrah: The +5V line is not wired up on any version of Keyrah. Reason is that the USB descriptors also include a value that tells the computer how much power the device consumes. The operating system then makes a decision about leaving power on or switching it off for safety reasons. With the +5V line being “open” for any additional device, the entry in the USB descriptors would not be correct, and the USB port may get overloaded. Thus, to ensure that the device abide by the documentation so no customer can claim that the product endangers their host computer, the +5V line is “NC” on the Keyrah. However, you can wire it up to the +5V source of the USB by adding a jumper wire. Performing this mod obviously voids the warranty of the Keyrah. 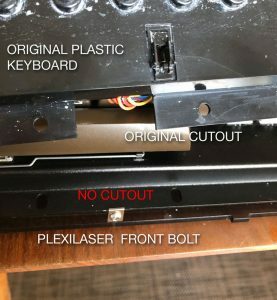 The Plexilaser case for the Ultimate64 uses a hole for securing/supporting the rear part of the keyboard. The placement of the hole is not used by the orignal Commodore 64 cases and is therefore not present in the MechBoard64. 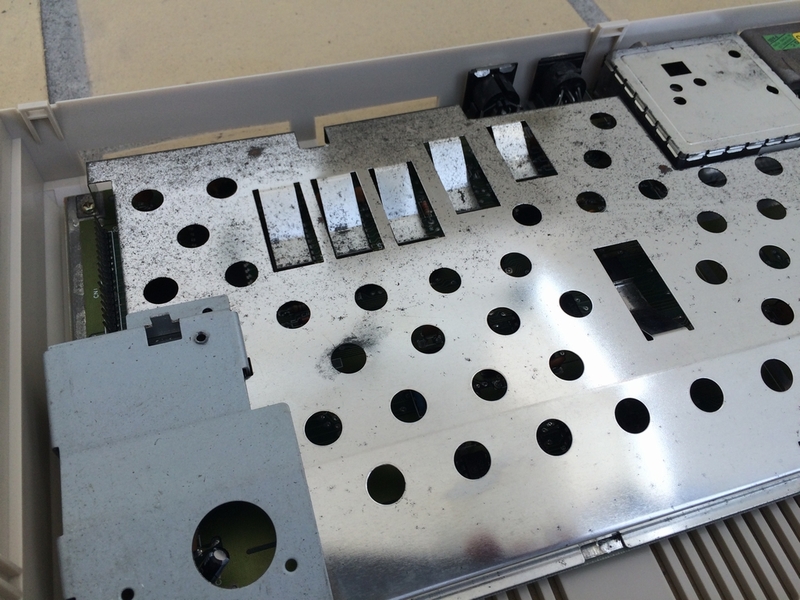 The issues can be fixed by drilling the missing holes to the aluminum bracket. 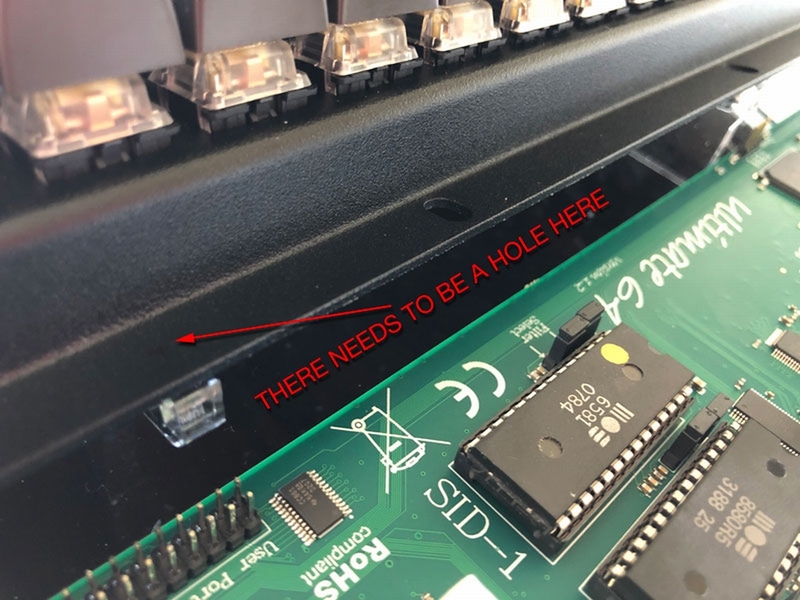 The slotted holes at the top and bottom part of the MechBoard64 bracket does not allow enough wiggle room to fit perfectly inside the Plexilaser case. This causes the case to get ‘stuck’ underneath the F1/F2 key, making it impossible to activate. Fixing the issue would require the slotted holes to be enlarged with e.g. a drill. 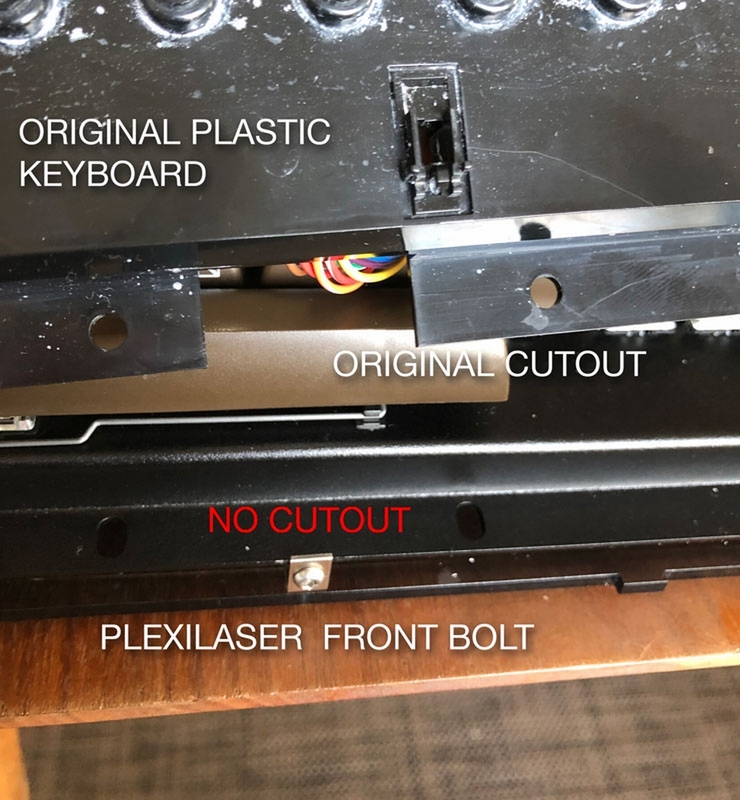 The top part of the Plexilaser case has a mounting bracket that screws right into the front of the case (just below the spacebar). 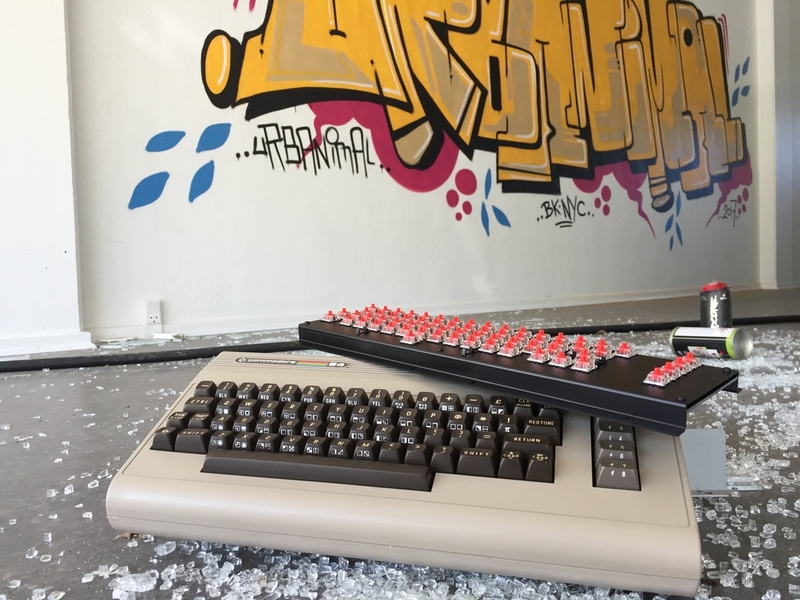 This goes well with the original C64 keyboard as it has a cut out. The MechBoard64 does not have this and will therefore need to be modifed with e.g. a Dremel or similar tool. Performing any of the above mentioned modifications obviously voids the warranty of the MechBoard64. 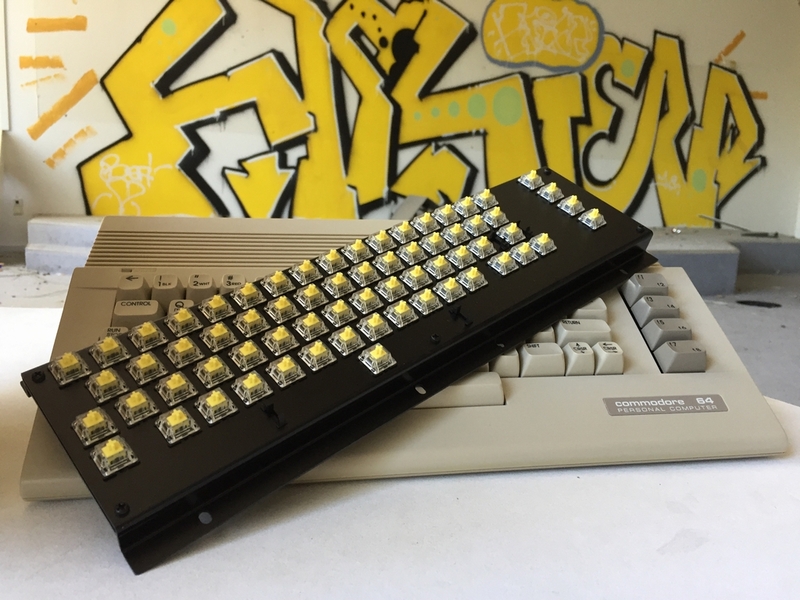 Below are a few images from Amigalove.com (thanks intric8!). More information and images can be found here (link). 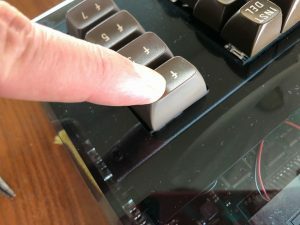 Dave Ross (csixty4) tested the MechBoard64 here (link). Eric Hill (intric8) from Amigalove.com tested the MechBoard64 here (link). 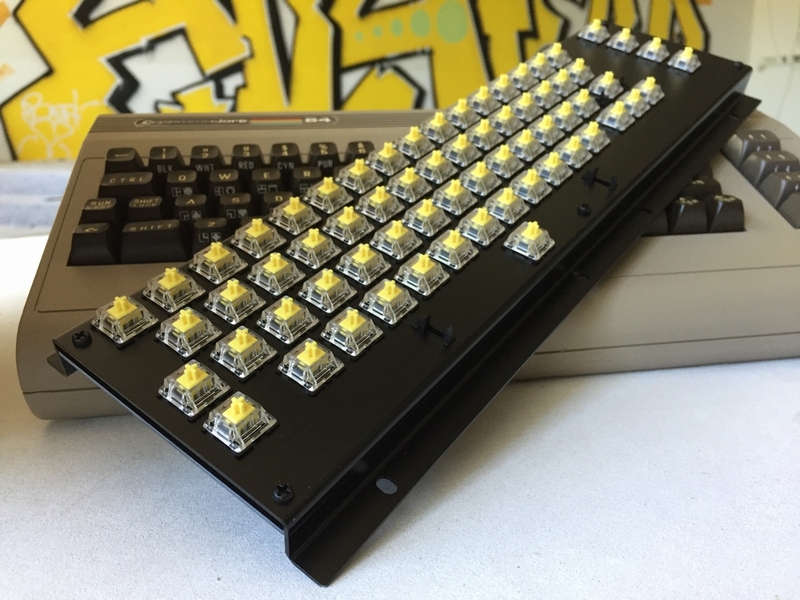 Hackaday.com mentiond the MechBoard64 here (link). Will there be a confirmation that I’m on the list ? 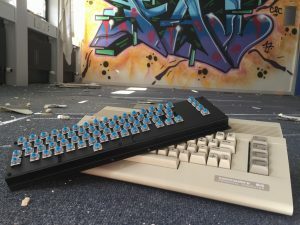 I would be very happy if it would be possible to place a new list for people interested in this keyboard. An automatic feedback when the next batch is available would be nice. Perhaps there is a way to put this into practice. From my side…… a lot of praise for the great work. Thumbs up. I can’t believe I missed the pre-orders! Can’t wait for the next batch!! This is beyond awesome! Even though the first batch pre-order window is closed, I can’t wait for the next one to open up! I have two questions, if you don’t mind? 1: Is there any way to receive a heads-up for the next pre-order info opportunity so I don’t miss it? 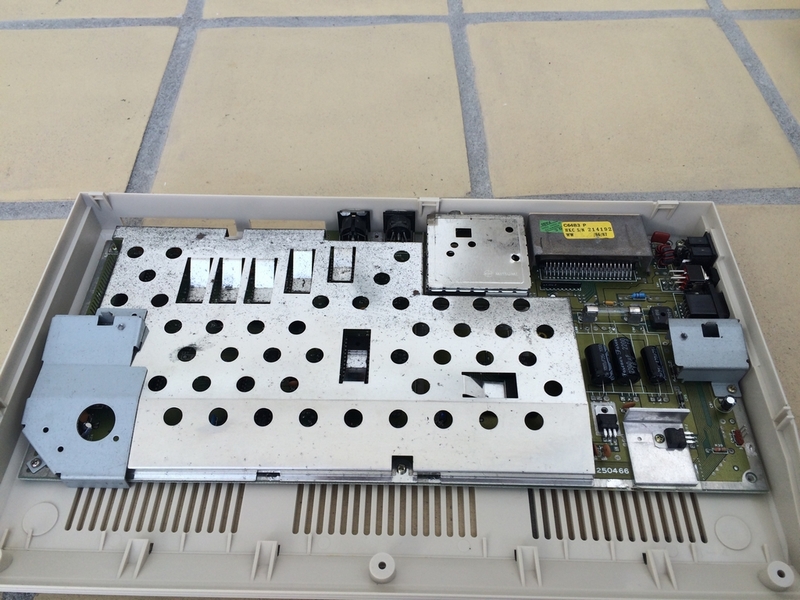 2: My idea is to assemble a fully working, brand new C64 for a relative as a Christmas present. Is there any chance receiving a MechBoard64 before Christmas provided you are part of the second batch? Hi Johan, as of now, there is no email list for early pre-orders available. I really want to make sure that the first batch is well received before starting up another batch. However, based on the general interest, I’m sure that the next batch will be upscaled a bit so more people can get a keyboard. I was lucky enough to be sent one of the first batch to beta test. It was the Gateron yellow version of the board. I had an email to show me postage and tracking, then 4 days later it arrived. From Denmark to the UK thats pretty good. Packaging was good. An outer box to protect the inner box that has the logo on and the keyboard inside wrapped in bubble wrap and surrounded by polysterene pieces. The booklet that comes with it is well written and has some very useful pictures. 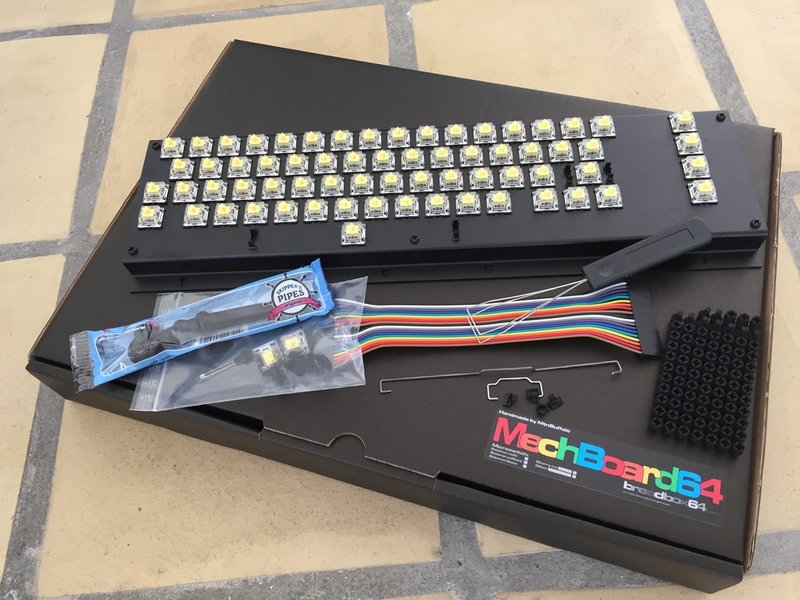 The keyboard itself is explained here so i will just add that the build is top quality. The metal backplate is for sure far superior to the originals. It gives it that solid feel and the extra bit of weight just feels good to hold. The Gateron yellows i was a bit dubious of before ordering as i thought that they may feel like the original dull mushy Commodore keyboard. This is not the case at all. They feel like a mechanical keyboard should feel like. Responsive, with the right amount of resistence, just without the click. Because my keyboard is going to be put inside a brand new case along with a brand new Reloaded MKII board, i have decided to go for a new set of key caps. I have done a bit of research and from being a pc gamer i have found that double shot keys are pretty good in this situation. I found a nice set of Corsair backlit keys and filled the board with as many that would go in the correct positions. I think i have maybe 15 keys i need to get fabricated to fill the board. Should be an interesting mission over the next few months and i will post my results if i can get them done. This is what i find great about the board. If you want to go retro you can add the 3d printed pegs and if you want to go full on brand new backlit, you have the option. There is just one led so adding extra could be possible and it is definetly something to consider. The 3d printed pegs are also of a very high quality. They are not too stiff making them easy to work with but at the same time a very tight fit. Even if they did wear over time(highly unlikely) i am sure they would be readily available to replace. I have taken a few pictures. In one of the pictures i put a double shot key with the Windows logo in the shiftlock position so you can see the potential for backlighting. I think the potential for customisation is literally up to the buyers imagination. 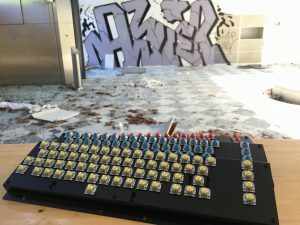 If you sesarch custom keycaps on the web you will see the sort of keys that are out there. 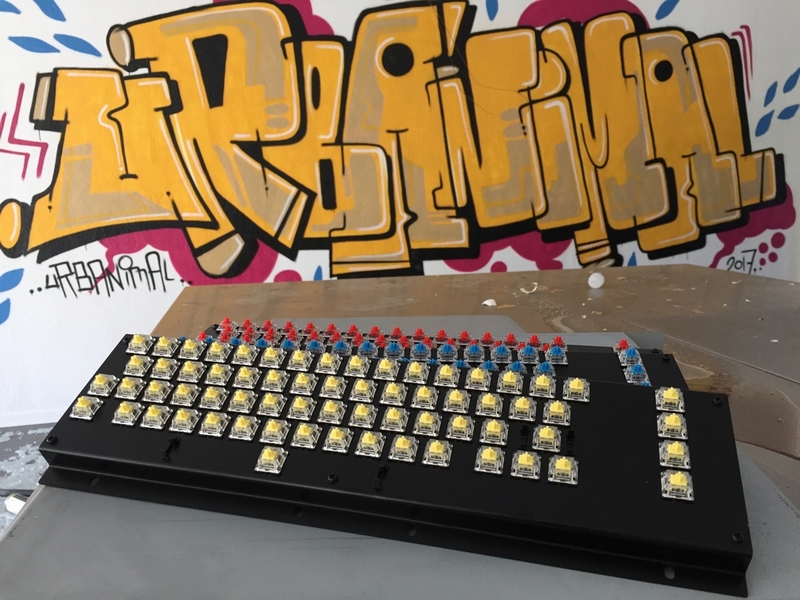 Maybe these keyboards will start a new craze and we will all be showing our creations. Maybe a keycap producer will see how much interest there is for this board and get to work on a brand new set for the comunity. I am going to write to a few and see what they think. 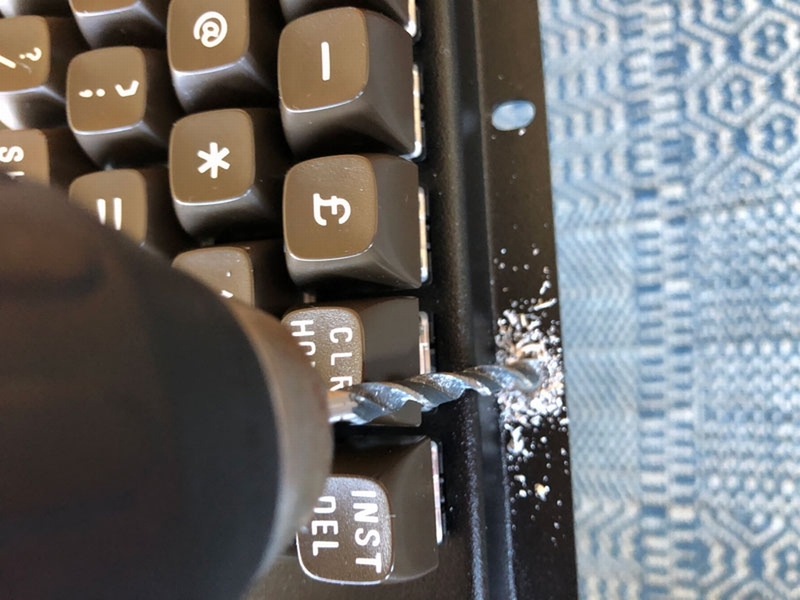 The only small problem i had was the keyboard ribbon was really stiff and could have maybe been set the other way so i did not have to twist it as much. Once worked a bit it was fine. To sum up my experience of the Mechboard 64 so far, i would say i am very impressed. So much so that i have already put in an order for my next board. I am willing to wait for the rest of the community to get their boards first though as i want you all to experience this great piece of hardware. Looks like you are gonna be busy. Images can be found in the user gallery here (link). 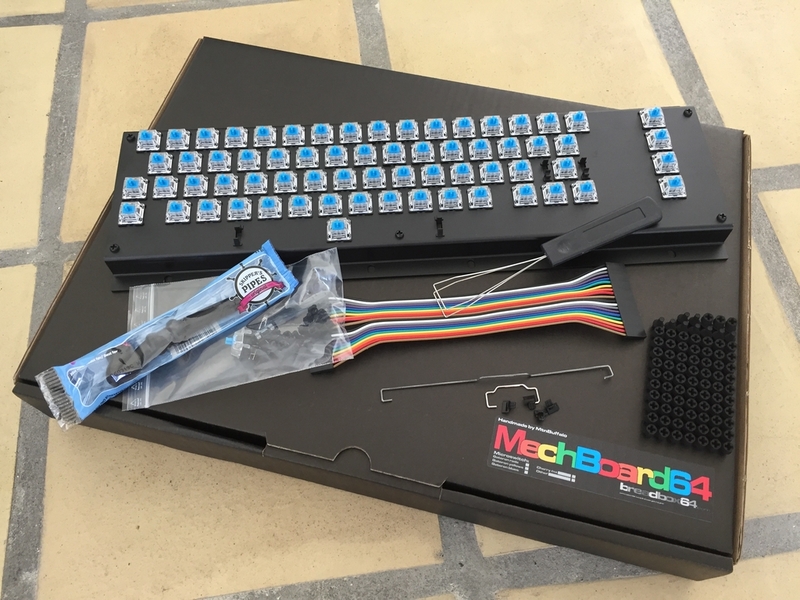 Hi Mongooseman, nice review and some sweet looking keys. 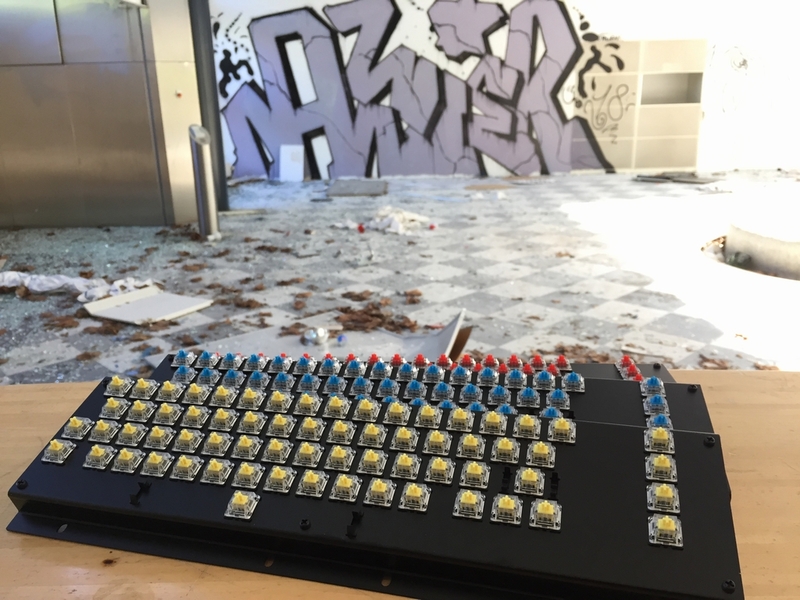 Hope you’ll find the missing pieces to finish off your keyboard! I hear you in regard to the wiring of the keyboard. The orientation of the 20-pin pin headers on the MechBoard64 was a compromise. 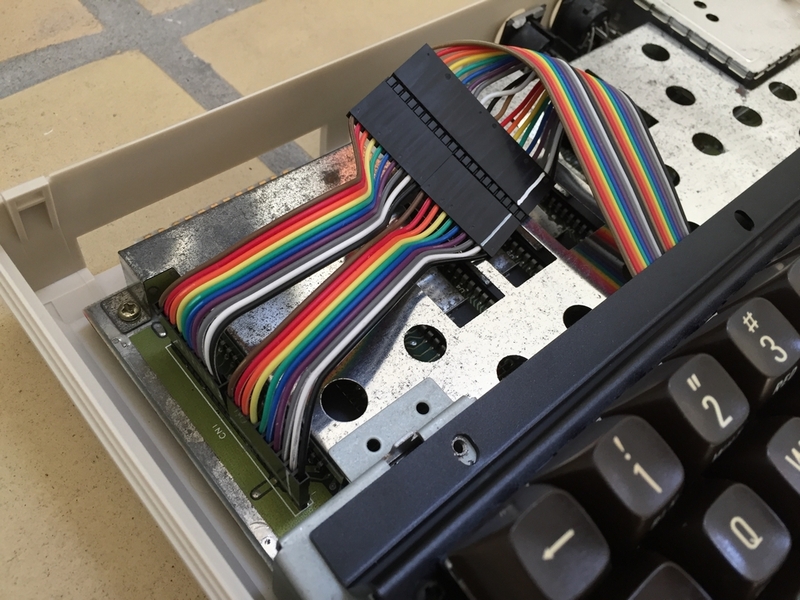 The socket you use for the C64 Reloaded mk2 could have been turned 90 degress to avoid the twisting of the cable. However, this would just have caused the same issues with the original short boards as they have their sockets oriented 90 degress in comparison to the C64 Reloaded mk2 boards. 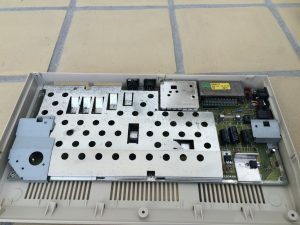 Nevertheless, Ultimate64 owners will not have to worry about the twisting issue as the socket on their motherboards is placed in parallel to the socket (horizontal to the PCB!) on the MechBoard64 which should make the cabling effortless. Sheesh…I don’t look at the site for a week, and this happens. Dammit! Missed out on this batch! Argh! Keep up the good work; I’m eagerly awaiting a second batch. I do hope a new batch sign-up happens soon! I can’t wait to get this board in my case. This looks awesome, please make a second batch soon! Super interesting project. I plan to get one when the next batch is available. Is there a possibility of getting a kit and Howto guide? Fantastic project! I made a calendar entry for each day from now on so I can keep track for the second batch 🙂 Can’t wait! I can’t wait as well… Looking forward to a new batch! Hey there! At first, thank you so much for doing this awesome project! I have a new C64 incl. 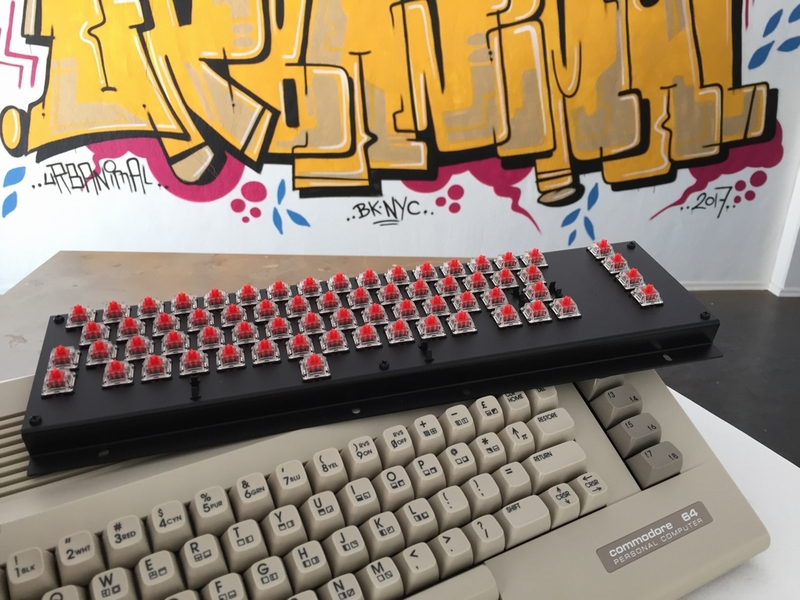 C64 Reloaded Mk2 and a brand new bread-bin-brown-colored C64C-Case from Pixelwizard built and this one is waiting for a new keyboard and some new keycaps. Hi Marc, by sending me your email, you’ve successfully been added to the pre-order list. 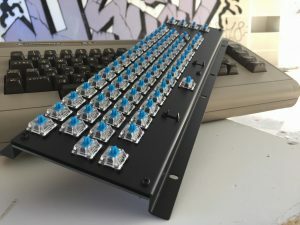 When the next batch opens, you can order as many keyboards as you’d like 🙂 It was only the very first batch that I put restrictions on as I wanted to distribute the keyboards to as many people as possible. 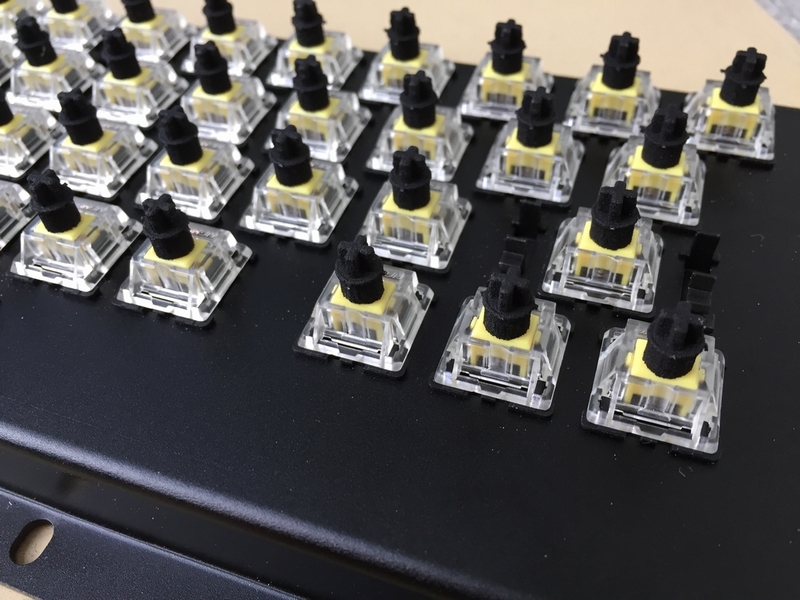 It is also possible to order the keyboard ‘switchless’ if you want to use your own microswitches. Sounds like you have a very nice setup! All we need is the new keycaps from Phase5 to make a brand new Commodore 64. 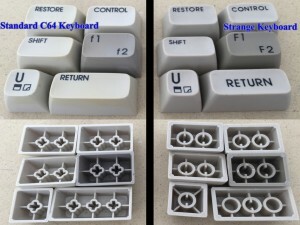 I also really like the old style keycaps 🙂 The biggest problem is finding the time to make the adapters and of course the iterative process of printing and testing until the adapters are usable. Love this, gotta keep an eye open for next preorder opportunity! 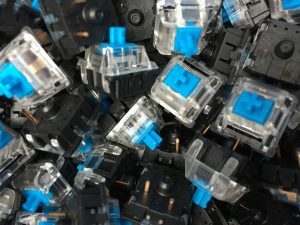 I assemble mechanical keyboards as a hobby, if you could sell them as a kit and let people just assemble them for themselves that would be awesome. The MechBoard64 is also offered with a ‘switchless’ option without microswitches. This way you can install your own Cherry mx style switches 🙂 The ‘Switchless’ version will only have the Shift Lock circuit installed and the bracket/PCB assembled. Cool. Can’t wait! I have another query. I’m planning on putting an Ultimate 64 board into a Pixelwizard 64c case (and I don’t want to cannibalise my beloved breadbin for parts). So I assume I’ll need keyboard mounts – will the Pixelwizard ones be ready to use or will I need to modify them? 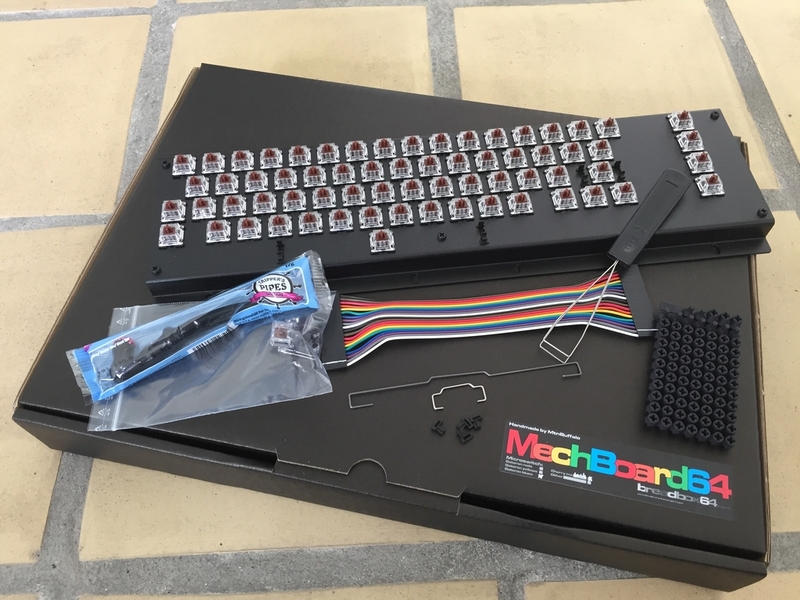 If they’re okay, would you recommend the metal or 3D printed ones, and are there any other parts I’ll need in order to fit the Mechboard when starting a build from scratch? Thanks. Hi Aaron, I have tested/reviewed the Pixelwizard case here (link). 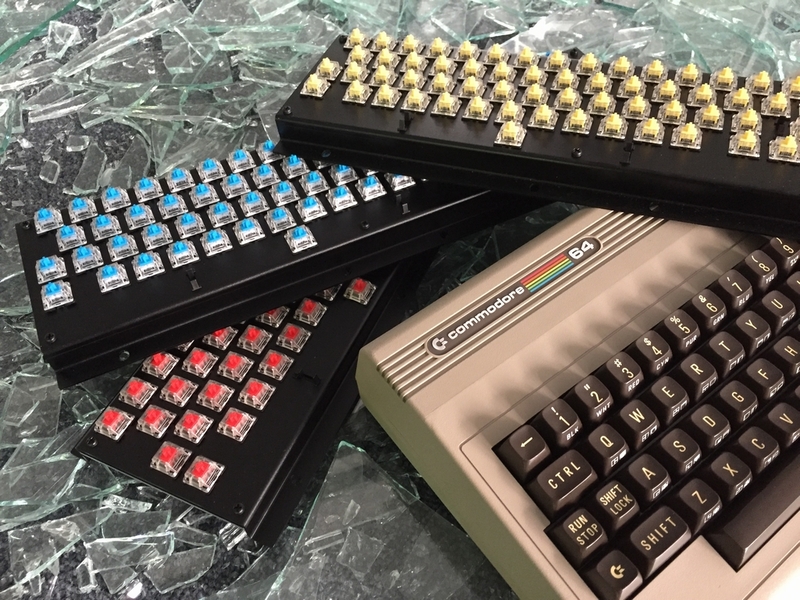 I got the 3D printed keyboard mounts as I personally think they look better with the black plastic case and black motherboard (C64 Reloaded MKII). That being said, the metal brackets will do the job just the same. So it all comes down to your personal taste. I would also get a power cover that will make a nice finish for the power plug. 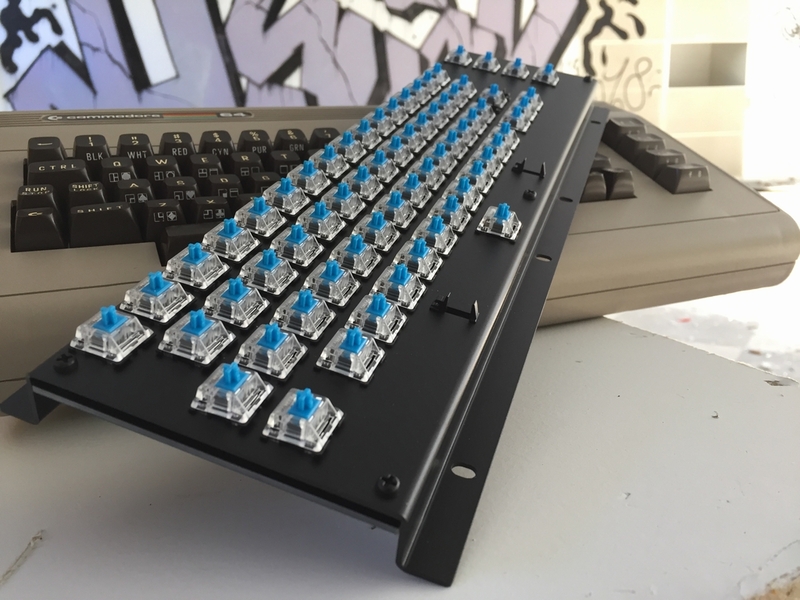 Corei64 makes these for the Ultimate64 along with his version of the 3D printed keyboard mounts (link, link). As I don’t have a Ultimate64 myself I have not tested the 3D printed brackets nor the metal ones from Pixelwizard. I did test it with a C64 Reloaded MKII and there was no need for any modifications. The dimensions of the MechBoard64 is the same as the original keyboard so I cannot see why it would not fit with an U64 installed. I do know that several users of the MechBoard64 have installed the keyboard inside a Pixelwizrad/C64C slim case case and I have not heard that any modifications were necessary to make it fit. I just installed an Ultimate 64 in a Pixelwizard 64C (slim) case with a breadbin keyboard and printed the mounts found here (link). 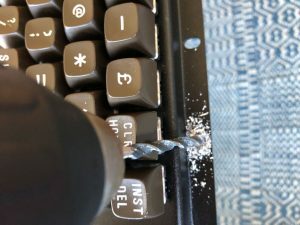 They worked best since they clear the keyboard cable more easily compared to some of the other options on Thingiverse. You can also order them from the services linked on that page (“order this printed” link) if you don’t have a 3D printer. FWIW, I can’t wait for the next batch to begin accepting orders to complete my project!